« Are kids Brains Different when it comes to Social Media? Social customer support I would argue is the single best place to focus your social media efforts since it can reduce customer churn and increase your retention rates faster than any other program I have ever seen before thereby delivering a strong ROI. Listening for and spotting a customer issue, responding to them and solving their problem in minutes using social media not only lets you conquer social media but delight your customers in the process. Leads – Listening for mentions of your brand or product or even competitors brands is a great way to find leads – evidence I have when listening for the competitors of Avaya – if I hear someone say “replace Cisco” – don’t you think that’s a conversation Avaya should be engaged in? Grant it there haven’t been a ton of those conversations but if you add up all your competitors and your own brands product lines it becomes meaningful. Advocates – Here is the last one where we have had some success as well. How are you building and taking care of all those really avid followers on Twitter or die hard fans on Facebook – perhaps if you were able to harness them like some companies are doing now with service like Zuberance – you can get them to make recommendations and build your brand with the power of their voice. We are seeing some success with this but some clients of Zuberance are really killing it with this one strategy. Dell has been talking about how they made $3 million dollars off their Twitter site – how did they do it? With a Coupon Code! – We have plenty of tools both old and new at our disposal to measure and track so many things on the web – so much so – that I have lost all patience for the concept that “we cant measure social media” – if Dell can measure with a coupon code just think what can you be doing to track the flow of social media with special 800#, special email addresses, special landing pages. That’s how we did it at the beginning of the web – I don’t see why this time is any different! @Robert – yes there is surely gold in those conversations! Bang on Paul. Measurement abounds, we have so many more immediate measurement now than the direct marketers of the past just in web technology. Toll free DID’s,clicktocall,Google Analytics and they are free. We just have to be creative to drive the visitor to a measurable action. 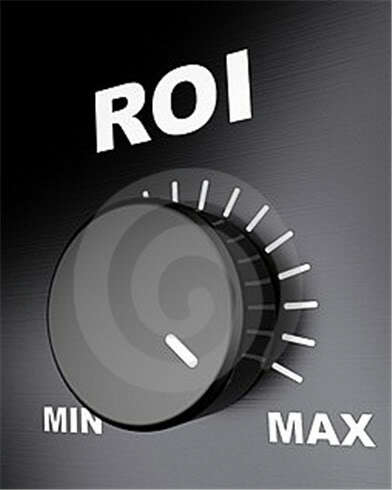 And we have to make sure people understand thatROI anywhere involves measurement metrics. Thanks Rob and thanks for commenting! Great article Paul; very informative! thanks for the comment Jayme! Agree with Danny. Problem of Marketing has been that CFOs do not understand clicks and conversations. The truth is in the funnel and this is where we need to link to if we talk ROI. One option would be to tag these conversations when forwarding to normal follow-up process – if appropriate – via Telemarketing. @Lutz – good point – it only counts if you can get it into the pipeline = the truth about conversations is that it will take a longer time to get to the funnel. As you suggest you can assign a comment to someone in the org to follow up on and then graduate that to the funnel if they find an opportunity. Would be great if there was some software that could help with the tracking process!